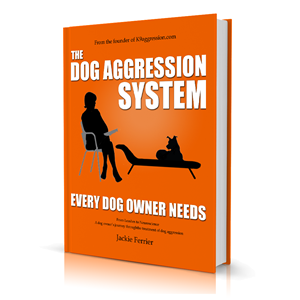 The print version of The Dog Aggression System Every Dog Owner Needs Paperback Book is available on Amazon. The Dog Aggression System Every Dog Owner Needs on Amazon.com for US $23.95 or less! Check to see if Amazon offers international shipping to your area if you are not in the US. Canadians should compare prices and shipping costs between Amazon.ca and Amazon.com. Don’t forget to take in account the exchange rate. The E-book version of the Dog Aggression System Every Dog Owner Needs can ordered on site and instantly downloaded once payment is processed. Be sure to double check your spam or junk mail folders. See more in the FAQ about how to open in an iPad.